This entry was posted in 1898, early recordings, engineers, HISTORY OF RECORDED MUSIC, PEOPLE, recording legends, RECORDING STUDIOS, RECORDINGS, Uncategorized and tagged 31 Maiden Lane, australia, berliner, colborn hotel, fred gaisberg, hanover, liverpool, london, rules restaurant, syria lamonte by Nipper. Bookmark the permalink. Excellent piece on Gaisberg’s Travels No.2, especially the carefully worded reference to Syria Lamonte. But Fred is mistaken in thinking that the studio was in the basement of the ‘Coburn’ Hotel. Research shows that the name of the hotel was actually the Cockburn, but Fred was an American so he must have assumed that the spelling was COBURN because of the way the name was pronounced. Many thanks Tony…thats a really interesting and useful piece of information. The Cockburn Hotel was one of a small group of so-named hotels: when Gaisberg and Darby made records in Glasgow in September 1899, they stayed at the Cockburn Hotel (long since demolished) in Bath St.
Pleasingly readable summaries, though, with good pictures and of course Gaisberg’s commentary! Bravo Peter Adamson! 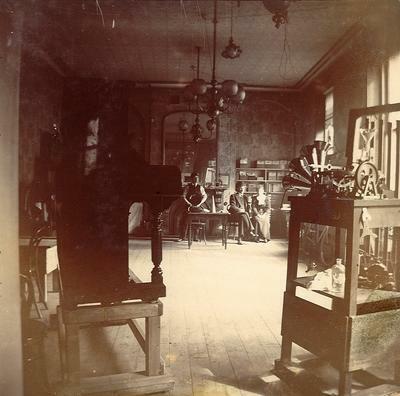 I have often wondered about the inconsistencies between the appearance in the photos of the interior of the studio – including the size of the room and the position of the large windows with the light streaming in – compared with the outside of the building and the windows of the semi-basement room or rooms as seen from the pavement in Maiden Lane. Of course the studio has to be the big first-floor room and we have to thank Peter for exploding another myth that has erroneously become attached to the story of Gaisberg’s earliest London recordings. 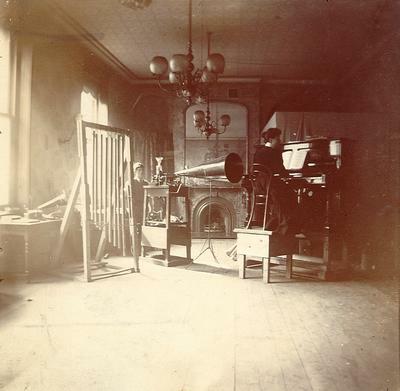 How good to see those photos of the early recording studio, 100 years after the event (and thank goodness it was the 8th of August, so we don’t have to worry over the American versus the British order of writing a date!) But a caption for the much later photo at the bottom would be welcome. It clearly has nothing to do with Syria Lamonte! When Alan Sanders devised the documentary CD that accompanied the 10 CD set 100 YEARS OF GREAT MUSIC celebrating EMI’s Centenary in 1997, he chose the clarinetist A. A. Umbach playing Mendelssohn’s Spring Song (E 6002) as an example of a recording made on 8 August 1898. I would be very interested to see a list of all the recordings made on that day. Does the Archive Trust have such a list? Syria Lamonte recorded on 1, 2, 7, 27 September and 3 October 1898, with Coming through the rye on 2 Sep (dated 8-2-98 on disc). And I of course meant Alan Kelly, not Alan Sanders in my first line!